This article was recently published in the excellent Chartism online magazine and is the result of a collaboration between BRHG and David Osmond, Ray Stroud, Peter Strong, Les James, historians from Newport and Cardiff. Our thanks to Les James for authoring the piece and allowing us to reproduce it. 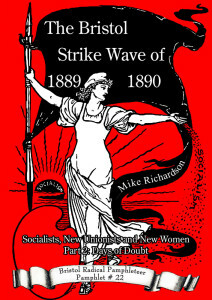 Members from the Bristol Radical History Group (BRHG) brought their bookstall to the 2016 Newport Chartist Convention held at the John Frost School. 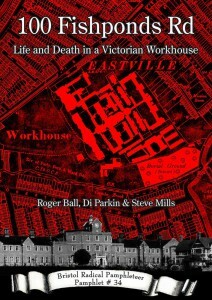 Di Parkin, Roger Ball, Maureen Ball, Steve Mills also brought with them a story that has been overlooked by those of us interested in Newport’s radical history. There had been opposition on the way. Having reached Newport, where Love requisitioned a steamer, the soldiers faced a mob who, sympathising with counterparts across the channel, ‘violently attempted’ to prevent embarkation. Love promised them an unpleasant time at the hands of the troops if they did not desist. They withdrew, but “their fury found vent in execrations, and wishes for the sinking of the vessel, ere her crew should trouble their confederates in Bristol. Arriving about six o’clock that evening, Love led his men through an unaffected area of the city, in a show of strength. At past Newport conventions, our eyes have been focused on the Chartist events of 1839. For a number of years, BRHG has been turning over 186 years ‘chronicling’ of the ‘riots’ that occurred in Bristol over the weekend of 29 – 31 October 1831. Their mission, to win public recognition for the Bristol events as an attempted ‘popular rising,’ has yet to gain favour with most historians. 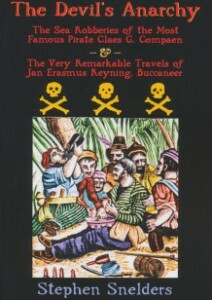 In contrast, the researches of two distinguished historians, Ivor Wilks (1984) and David J.V. 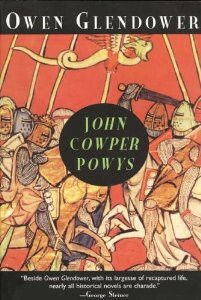 Jones (1985) acknowledged that the hitherto described ‘Newport Riots’ was better interpreted as a ‘Rising/Y Cyforiad’, albeit that it failed. 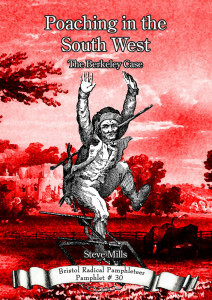 A decade earlier, Gwyn Alf Williams’ seminal work (1973), ‘The Merthyr Rising’ had prepared the ground for such rethinking, but the Bristol Rising of the same year 1831 still awaits such an ‘academic kite mark’. It is clear that BRHG are knocking on the door. 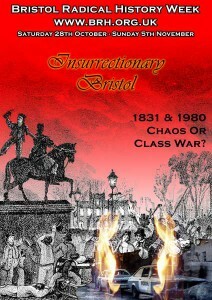 The evidence collected shows that what happened in Bristol in 1831 was not the mindless and wanton ‘riot’ of destruction, it was dubbed in its aftermath and that it was part of a wider set of public ‘disturbances’, which the authorities at that time unquestionably considered to be an orchestrated threat to the status quo. 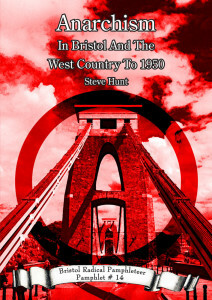 The Newport Chartist convention, held annually in November since 2007, seeks to spread understanding of the causes and nature of the 1839 battle at the Westgate inn, Newport and contextualise this event in terms of chronology and geography, as well as political and cultural significance. Collaborative research on radical history elsewhere and in differing situations is a vital concern for the organisers of next Autumn’s programme. It’s pleasing to report that over the winter since November 2016, Severnside collaboration is flowering and ‘joining up the dots’. It will be possible in November to reveal the extensive popular movement that was reverberating in 1831 around the sea channel between Merthyr, the south Wales coalfield, Newport, (possibly Cardiff?) and Bristol. There were also ripples detected in Bath, the Forest of Dean and amongst the colliers of Kingswood, and that very definite connections were being forged further north, certainly with Birmingham, the home of the Political Unions, newly established in this period. The Mayor of Bristol was appealing for infantry – these were better for crowd control than cavalry, which he had in plenty, but were hated for ‘Peterloo’ and vulnerable to pikes, the favoured street fighting weapons of the period. Probably Love took 170 men rather than the 200 mentioned as we know he left 40 men at Cardiff Castle fearing trouble at Merthyr. Receiving his instructions at 6am, Love must have also been made aware at same time that he had more chance of sea transport from Newport, with a better tidal range in its river, than the sand banked bay at Cardiff. when two or three companies of infantry sent from Cardiff were about to embark on a steamer at Newport, a mob in sympathy with the Bristol rioters attempted to cut the boat adrift, and even threatened a regular attack on the troops. These soldiers (for whom no accommodation had been provided in Bristol, and who took shelter in the Guildhall and the White Lion dining-room) had to be sent back to Wales two or three days later, owing to an apprehension of riots at Merthyr Tydfil, where some of the Bristol fugitives were reported to have fled. Such facts suffice to show the widespread peril of the crisis, and the urgent need of the vigour which was so tardily displayed. very bad feeling among the lower class at Newport. The mob endeavoured to set the Steam Boat adrift, but failed. Anthony Hill, ironmaster at the Plymouth works, located south of Merthyr town, was convinced that a meeting was planned for 7 November, when the men of Monmouthshire would unite with the men of Merthyr and simultaneously, solidarity meetings would occur in other places, to the west (Carmarthen) and to the east in Monmouthshire and beyond. 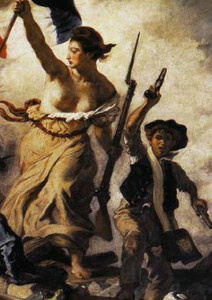 Hill demanded the return of Love and his troops. They were known to have sent ‘delegates’ to raise support in other places. He feared the Rising was in revival. Love arrived in Merthyr in the evening of Monday 7th November. He noted in his report that no meeting occurred. It is clear from these accounts that on Monday 31 October, people from the town of Newport gathered at the Newport bridge and at the adjacent quayside on the east bank of the Usk, opposite side to the town. Here they attempted to block military sequestration of the Bristol steam packet as it arrived on the high tide. This picket action was faced down by Lt. 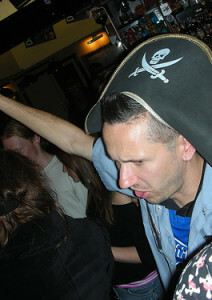 Colonel Love, who forced his way through a rebellious crowd to the ship, threatening to unleash his troops upon the protesters. But none of this appeared in the newspapers. With no Newport based newspaper, residents of the town (population c.7000 in 1831) were dependent on Bristol papers, The Cambrian (Swansea) and the recently established Monmouthshire Merlin based at Monmouth in 1829. News management was uppermost for the Whig proprietors of these newspapers. The editors were expected to spread concern about the maintenance of law and order, but not to feed the Tory paranoia of conspiracy. All these newspapers focused on the burning of Bristol and neither The Merlin nor The Cambrian (Saturday 5 November) mentioned the ‘picketing of the packet’ at Newport. The only news item in this edition of the Merlin concerning the previous weekend at Newport, (Sunday 30th and Monday 31st October) can be found near the bottom of column 3, page 3. The Newport correspondent portrayed a population dismayed at the sight of Bristol burning, without any hint of disturbance at the town and reported a cheering crowd sending the 11th Regiment on their way to Bristol. From our Newport Correspondent -The utmost anxiety and consternation was depicted on the countenances of the inhabitants of this town on Monday, as they stood in groups about the streets, regarding the fate of the ancient city of Bristol, with which many of them are in some way or other connected. The flames were distinctly seen on Sunday night from the bridge and the church-yard for several hours. At times the horizon was so bright, that the reflection upon the Channel was apparently to the extent of half the width of it. The fire was also seen upon the hills beyond Risca. On Monday morning, about three o’clock, an express arrived from Bristol on its road to Cardiff, for the 11th regiment stationed there, which soon afterwards embarked on board the steam-boat, with three cheers from the hundreds that witnessed their departure, and arrived at Shirehampton, near Bristol, at three o’clock p.m.
About this time it was ascertained where the scene of destruction lay, and some property of Mr. Turner and Mr. Webber, of this town, being near the spot, great excitement arose as to its fate. It was soon known that Mr. Turner’s had fallen a sacrifice. The plunder must have been great, for some of it has even reached here. A woman and boy came by the packet on Tuesday, with bundles and baskets, containing a variety of things from the ruins; amongst them good mahogany chairs with the backs sawed off. The captain took them before the magistrates, but we do not know the result of the examination. Hidden in this passage is some fascinating detail. We are told that Love received his instructions by express coach, which called at Newport about 3am. No doubt whoever aboard was carrying Love’s instructions was keen to pick up information about the packet timetable. The driver would have had to manoeuvre his way across the crowded bridge. Harassed for news about Bristol, he no doubt let slip knowledge of his mission. The newspaper correspondent would not have been the only person picking up news. The town’s radicals and the discontented living on the west bank of the Usk drifted to the bridge and the east side, awaiting the troops. By the time the soldiers reached Shirehampton by boat at 3pm, nine hours on the road, stressed out, they must have been desperate for vittles and daunted by what lay ahead in the city. 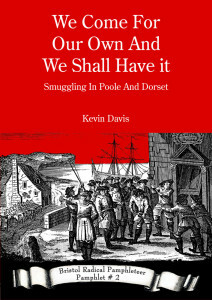 The purpose of the Merlin’s reportage was to leave readers concluding that no disturbance in Newport coincided with the Bristol ‘Riots’. Interestingly, this claim is contradicted further down the same column by the brief mention of an incendiary act occurring at Llantarnam, near Newport. On the night of Friday the 28th inst. a barn belonging to Mr. Roberts, a tailor and farmer, at Abbey, in this County, was set on fire and entirely consumed. The barn contained a large quantity of wheat and a phaeton. There can be no doubt but that this fire was the work of an incendiary. We stop the Press to announce that a most alarming account has just reached us, of some incendiary fires having taken place near Newport. A commercial gentleman, who left that town yesterday, informs us, that at three o’clock in the morning he was awakened by an alarm of fire and he says the inhabitants were ‘parading the streets during the whole night. Being of a timid disposition, and unacquainted with the neighbourhood, he got up early and came off for Monmouth, without ascertaining the particulars. He understood that some stacks of corn and part of a farm house had been burnt. He saw the reflection of the fire, which appeared to be in the direction of the road from Newport to Cardiff. The London papers of Thursday contain a proclamation from the King, inviting all his subjects to unite in maintaining the peace and suppressing riots. We call upon all good citizens to obey their King Let all Mayors and Magistrates forthwith call meetings of the inhabitants within the limits of their respective jurisdictions, to consider what steps it will be advisable to pursue in order to restrain excesses, such as have been perpetrated in Nottingham, Derby, and Bristol, to the destruction of social Order, and the disgrace of a civilized people. 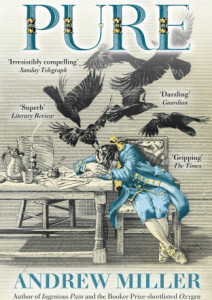 On the morning of Friday last, between three and four o clock, the town of Newport, Monmouthshire, was alarmed by the cry of ‘,fire’; it proved to be a rick of hay stacked in a void piece of ground in Lanarth street, nearly in the centre of the town. The hay was the property of T. Gregory, an innkeeper. There cannot be a doubt but it was set on fire by the hand of all incendiary. By the prompt exertions of the respectable inhabitants and the firemen in having out the engine, little damage was done. Threats of fire have been spoken off here for some days past, and several individuals pointed out. This story went unreported in The Merlin, until the 19th November, when the newspaper repeated word for word what was in The Cambrian the week before, without further comment.